Our mission is to artistically and spiritually develop individuals in their God-given talents for service in ministry, profession, or personal enjoyment. Shandon Worship Arts Center offers Arts instruction in a safe Christian learning environment where Students and Faculty can develop and share their passion for the Arts. It is a non-profit ministry of Shandon Baptist Church designed to build up and strengthen those under instruction and the meaningful worship already present in the Worship Arts Ministry at Shandon. is open to anyone with a desire to learn. 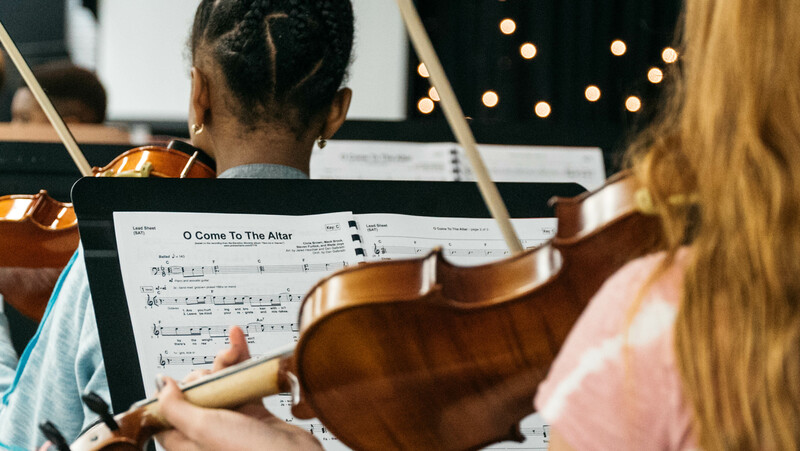 Shandon Worship Arts Center provides children and adults, whether beginners or experts, the highest quality education in music and the Arts with instruction from Christian Arts professionals. Not only do they have a passion for music, but they care for the Student as well. The Shandon Worship Arts Center Scholarship Fund directly benefits students in need of financial assistance. Each semester our Scholarship Committee meets and prayerfully considers the needs of our students and awards resources accordingly. Please consider how you might contribute to this program. Contact Us if you are interested in investing in the lives of young musicians by supporting the Shandon Worship Arts Center Scholarship.